Romantic atmosphere. 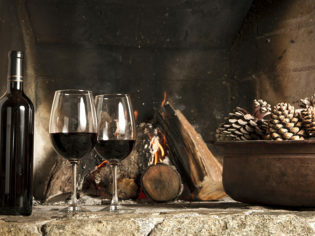 Bottle and wine glasses by the fireplace. Pine fruits. Take cover from the howling wind and pelting rain at this adored local’s secret which serves a weekly-changing sunday roast, complete with roast vegetables and gravy. The menu at the Grace Darling has a strong emphasis on local and sustainable produce, too. Think mulled wine, Scrabble boards and moody lighting – very Brunswick! Snuggle up in a booth and order some nibbles for a perfect afternoon. Or be on the lookout for the next opening night art exhibition date. Melburnians have an infatuation with rooftop bars, and winter doesn’t mean this love affair has to end. The Aer Bar is fully weather proof with its floor to ceiling awnings and retractable roof. 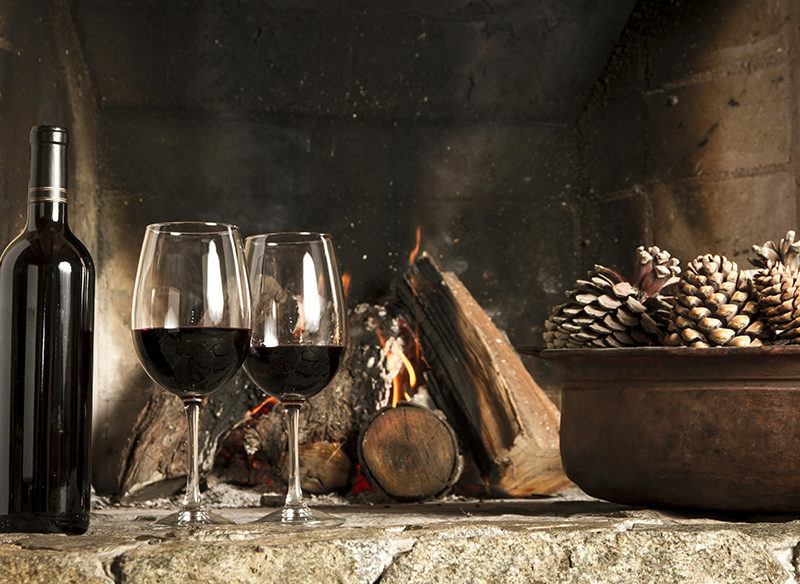 Cuddle up with your dearest by the fire with plates of tapas. Winter calls for indoor activities and next to James Squire’s fireplace, in the snug Portland Hotel, is a fully operational in-house craft brewery. Take the free tour through the full process of beer-making. Some of the country’s finest blues performers grace this friendly establishment at weekly live music gigs. There are over 100 different beers on hand, so you can park yourself by the fire with a glass of rare or limited edition liquid gold. This history-laden hotel not only holds ‘whiskey club’ tastings in front of its fireplace, but also six-course Australian Wine Dinners. You can pick the featured winemaker’s brain at the Water Rat as fine food and vino are served ($110 pp). A Melbourne favourite for a hearty Sunday brunch – The Leveson opens at 11am with a specially designed cocktail menu and free gift bags for kids! And you’re greeted by a toasty fireplace as you enter. Come here after a morning Queen Vic market run.